The BCCD is a robust portable triple LCD display system built using heavy duty metal to provide a tough, go-anywhere unit ideally suitable for wide ranges of applications such as computer-aided design, geographic information systems, and professional digital media applications. Built in a compact, lightweight form factor, the BCCD provides an excellent display for simulation and training applications. Every BCCD comes equipped with three 1920 x 1080 HD resolution LCD displays and multiple independent DVI/VGA/DP inputs. Its independent triple inputs are fully compatible with most high-performance graphics cards. The BCCD LCD display can be expanded and retracted fully for transporting and storage. 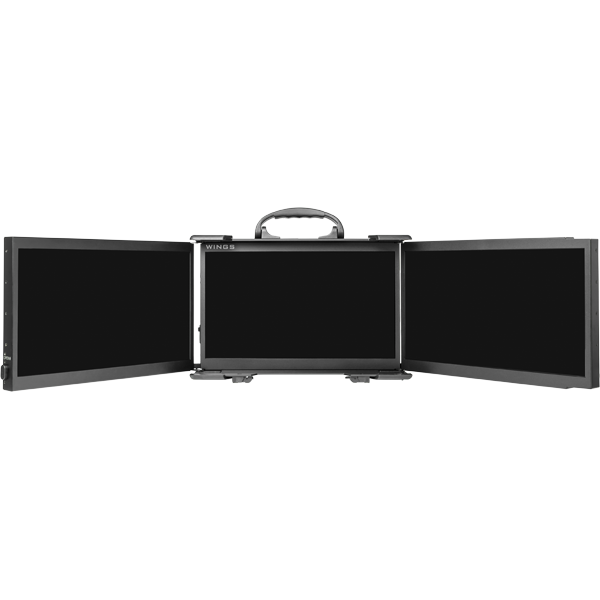 With its rich features and extra-rugged construction to sustain bumps, it is the most durable and efficient triple display solution for your needs.